you may have had in your older solutions. If your current ERP appears to be past its shelf life, now is the time to investigate all that M3 can provide for you. Infor is fully committed to leading the market with a suite of solutions to address the unique needs and changing market dynamics of food, beverage, chemical, and life science manufacturing companies. The foundation for this is Infor® M3, a comprehensive enterprise resource planning (ERP) solution designed to help process manufacturing companies respond to changes in customer demands, manage and speed up a global supply chain, meet regulatory compliance, and reduce waste. Infor continues to focus its process manufacturing development resources on Infor M3. This approach helps ensure that our customers not only have a feature rich solution for today but a solution that will continue to meet their future needs. The latest version of Infor M3 demonstrates this well, as it provides process manufacturing companies a number of new and expanded capabilities, along with an industry-leading user interface. 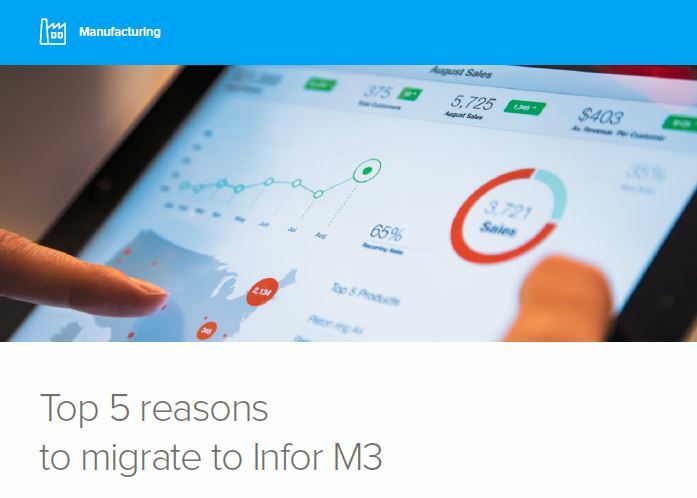 Here are five top reasons to migrate to M3. To learn more, click here and download the paper. Have questions? Reach out to ICCG for answers.